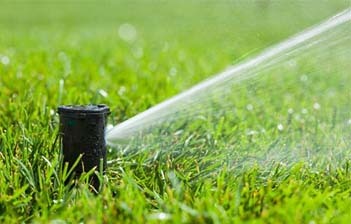 ANAHEIM, CA - (May 20, 2015) - The Anaheim City Council has approved an ordinance to restrict landscape watering to two days per week, in an effort to reduce daily water use during the ongoing drought. The ordinance will help Anaheim achieve its required water reduction target of 20% set by the State Water Control Resources Board. To assist Anaheim customers in adjusting to the new mandatory restrictions, Anaheim Public Utilities will provide education and community outreach through bill inserts and information on its website. Anaheim residents are encouraged to attend a Save Water Expo. This is a free community event offering visitors the opportunity to participate in water conservation workshops, demonstrations, and interactive activities. Information will also be available on the latest in drought-resistant landscapes, turf removal, indoor water conservation, and outdoor irrigation choices. The event will be held on Saturday, June 6, from 10 a.m. to 2 p.m. at ARTIC, the new transportation hub located at 2626 E. Katella Ave., Anaheim, CA 92805. For more information about the Save Water Expo, mandatory restrictions or rebate and incentive programs, visit www.anaheim.net/savewater.